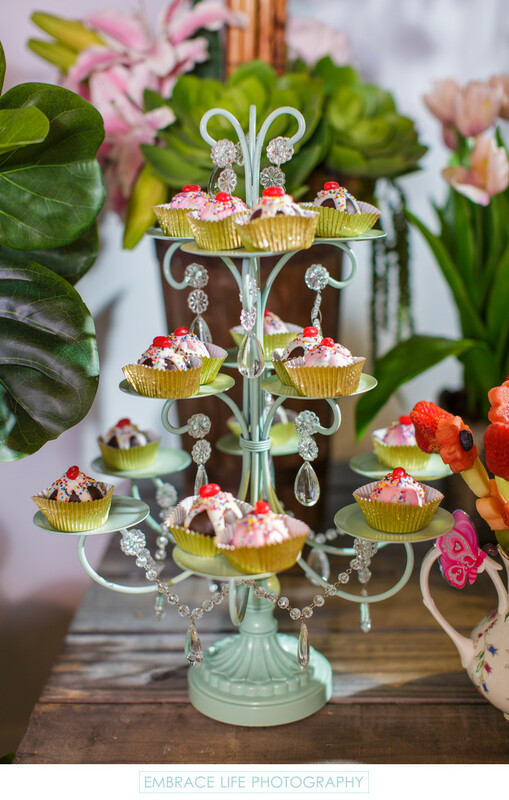 This Westlake Village, California birthday party photograph shows a beautiful light green wrought iron cupcake holder with dangling crystals. The gold cupcake papers hold mini-cakes iced, sprinkled and topped with a red jelly bean. This garden tea party themed birthday celebration had many pretty designs, beautifully photographed by event photographers, Embrace Life Photography.